I’m still recovering from the horror virus that’s doing the rounds and having to take it quite a lot easier than I anticipated the past couple of weeks. But I’ve been busy finishing off one Griffith University unit (Television Studies) and starting another (New Media: Communications in the Electronic Age), though my brain really isn’t up to being terribly academic at the moment. While it’s seriously throwing out my schedule, being ill has reminded me that sometimes it’s more important to sit back and watch things grow for a wee while. Some of my favourite plants are the small, often forgotten little herbs. 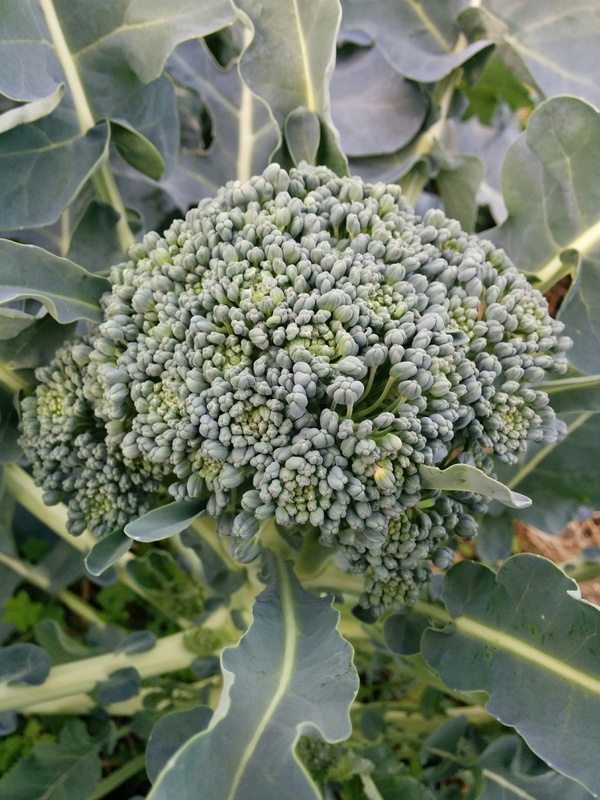 Most people who cook grow them, but often we take them for granted but at the right time of year, in the right light they are incredibly beautiful to look at. This is the tiny and delicate Orange Peel Thyme (Thymus richardii ssp. nitidus) which comes originally from Sicily. 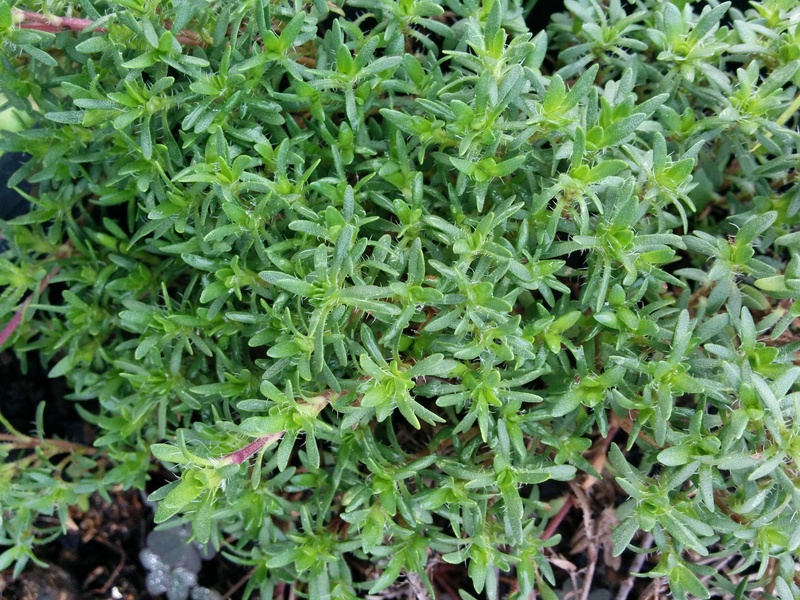 It has a gorgeous thyme fragrance, mixed with orange zest and grows like a mat, making it ideal for containers or rockery edges. I really like it with chicken dishes but it also works well with apple jelly. Above is the delectable Lebanese Oregano, also known as Greek Oregano or Zaatar Leaf (Origanum syriacum), undoubtedly one of my favourite culinary herbs. 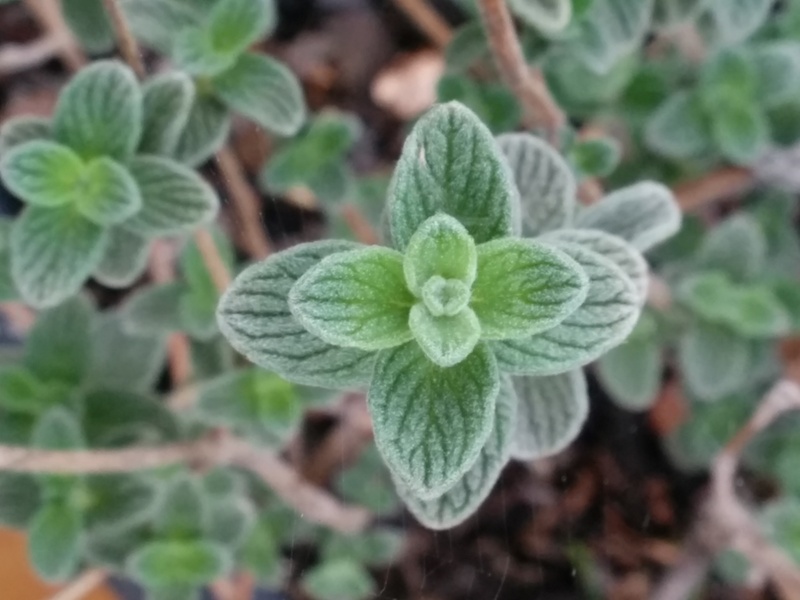 The soft blush on the leaves is typical of this upright herb, that grows into an open shrub that can get quite straggly if it isn’t cut back each year after flowering. The taste is quite intense and different to either Marjoram or Oregano and it is a wonderful herb for barbecue meats, roasts and chopped finely over baked vegetables. Of course, as I’m sure all you fellow gardeners will understand spending time even just walking around your patch makes you think of all the work that needs to be done. Gardening is a never ending job, always a work in progress! All the rain has meant the weeds are coming back in force and it’s going to take some dedicated time over the coming weeks to stay on top of it. Spent raspberry canes need cutting and in some cases, dividing and transplanting into a new raspberry bed. The rhubarb is ready to be divided too and the plum and nectarine trees need some final pruning to tidy them up now they’ve finally dropped all their leaves. Also, I’ve got new fruit trees arriving soon and there’s a lot of preparation to do for them. I’m quite excited though as most of the new trees are on dwarfing rootstock and all will be going into half plastic drums that I’m going to set up as wicking containers similar to the balcony boxes I did back in January. I’ll be doing a blog post about it and photographing the process. (The balcony boxes are doing well by the way, with onions, chicory and coriander still going strong and three about to be replanted with winter greens – rocket, spinach and vitamin green). Meanwhile, the baby bunnies are growing very fast and will be ready to be sold next weekend as pets or grown on for butchering in another month or so. While some people have issues with this, I like to take responsibility for at least some of the meat I consume. And I do the slaughtering and butchering myself so I know they are humanely dispatched. This will be the last litter for a while as I don’t like to put either of my doe rabbits through the stress of winter birthing and rearing. I find it’s better all round to wait until spring. 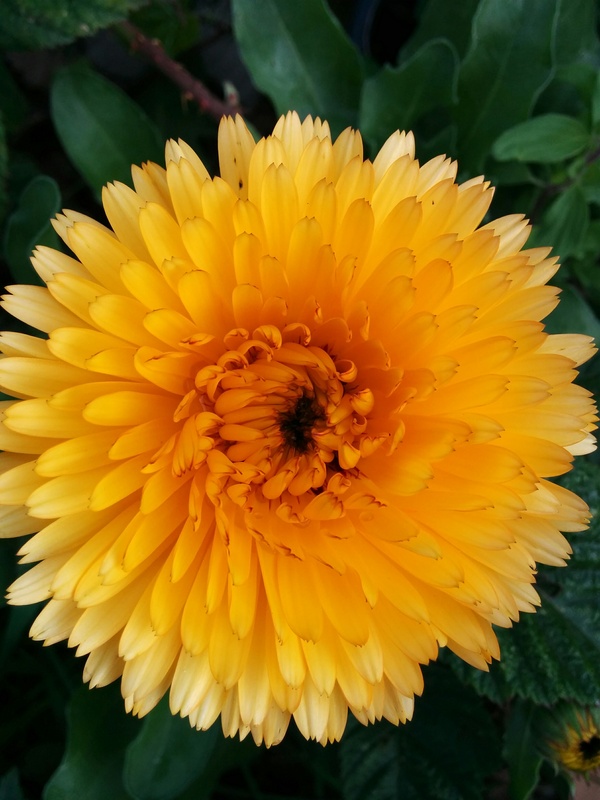 I’ll leave you with the first Marigold in full bloom – the only one that grew from an old packet of seed. Previous Debut! – The Superstars Next Rain! Our house is full of the virus now. Steve has had it for well over a month and I am into my second week of it. The best bit about it is how blissful it feels to sit next to Brunhilda (big wood stove) in the kitchen and to have the possibility of baking (should I ever feel like doing it again 😉 ). I think you just have to rest and recover. Do you study online? We used to study our diploma in Horticulture online. We love that format as we don’t have to travel 100km round trip a day (which we are doing at the moment to attend TAFE) and we get so much more accomplished at home. We raise chooks for eggs and meat. I am vegan but accept that Steve wants to eat meat and eggs so we do it ourselves. I am with you on the bunnies. If you are going to eat meat, do it so you know what you are eating has lived a good life. LOVE those herbs. We inherited golden oregano and a could of half dead rosemary bushes. I am not a herb person but probably should start learning. My grandma always had a big herb garden back in the 60’s and 70’s and it was lovely to wander around plucking leaves and sniffing them. This virus is awful, this is my third or fourth week of it!!! I hope your household recover quickly. I grew up with herbs and a father who knew a considerable amount about them. Family lore has it that my Cornish ancestors were cunning folk and my great grandfather was renowned for his animal husbandry and herb lore.